The greatest pools to swim are undoubtedly indoor olympic pools. There are usually discounts obtainable to senior citizen and little children. Find out by contacting your nearest pool in Glasgow. 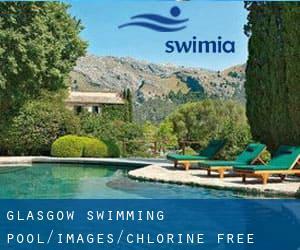 Thanks to some new Chlorine Free Pools in Glasgow submitted every day, Swimia.com is increasing everyday the number of stored pools. Please don't hesitate to get in touch with us if you find any inaccurate or incomplete data. Please, use the make contact with info provided at every pool profile. Swimia.com has essentially the most up-to-date database about Pools. Most of the Chlorine Free Pools in Glasgow offer both open lanes for independent swimming and also guided activities like water aerobics or aquabike. Off the B712 , Stobo , Scotland , UNITED KINGDOM (Postal Code: EH45 8NY). Swimmers like you reported 25 meters, Non-Chlorine Sanitized, Indoors. Phone number and e-mail address are number for this Swimming Pool. OMNI Centre , Greenside Place , Edinburgh , Scotland , UNITED KINGDOM (Postal Code: EH 1 3AU). Swimmers like you reported 25 meters x 10 meters, 3 lanes, Non-Chlorine Sanitized, Indoors. Unfortunately we do not have the email address of this Swimming Pool, but we can give you the phone number.